Rhinebeck Party Rentals was founded in 1986, after the wedding of the owner’s son. In search of a memorable wedding, they had to overcome many difficulties to find quality, elegant, reliable party rental wares. They finally realized that they themselves had to raise the bar and become a party rental specialist in the Dutchess, Columbia, Putnam, and Ulster County area. 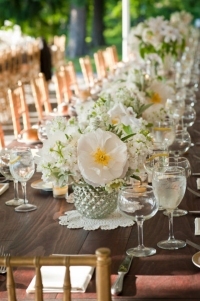 Rhinebeck Party Rentals helps people plan successful special events. We provide tents, equipment, and consulting services for private, corporate, and nonprofit functions. Our mission is to ensure a friendly, stress-free rental experience by providing quality, dependable merchandise and service designed to win customer loyalty.